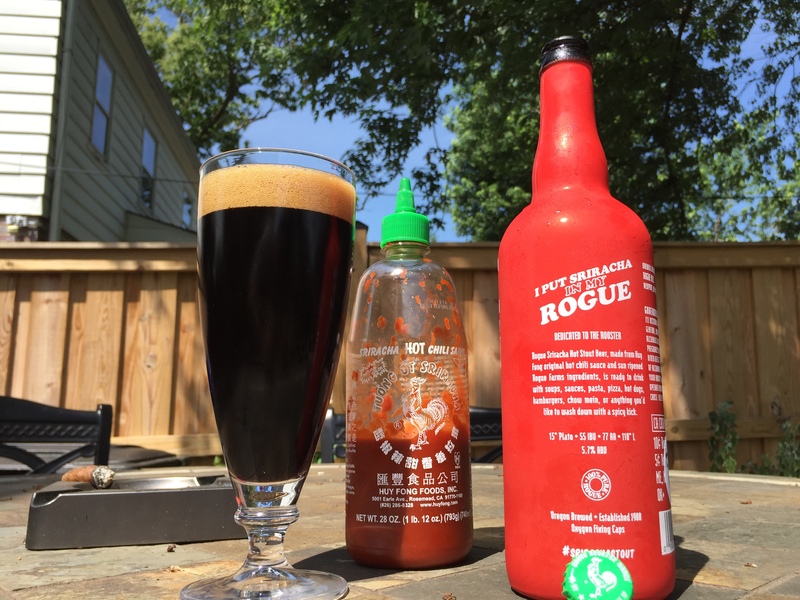 Sriracha Rogue pours much blacker than I would have ever expected. It is technically a stout, so this was never going to be see-through, but DAYUM. This is black as night with a tan (slightly red-ish) head. On the outside, the bottle is one of my favorites. It perfectly replicates an actual Sriracha bottle down to the font and the logo. Rogue took it a step further though and added their own personal flair in several little instances, my favorite of which is the small triangle that usually says ‘shake well’ on the sauce, now urges it’s drinker to ‘DO NOT SHAKE!” Sound advice. The scent of this beer is certainly not the focal point. There is nothing too overpowering, or too outside of the norm for a stout on the nose. 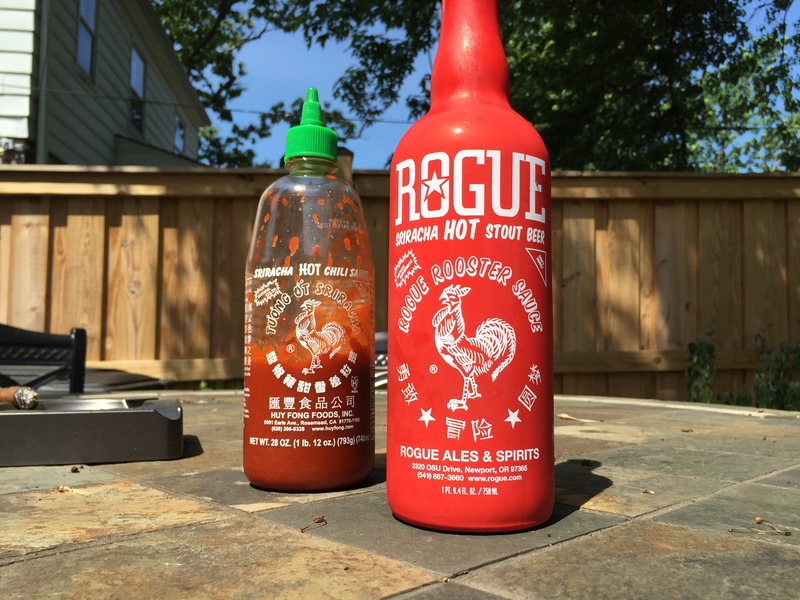 There certainly is a touch of that signature Sriracha aroma, however it was far less overpowering than I expected. I am so pleasantly surprised! This beer tastes GOOD. Not just good for a ‘gimmicky beer’ or a flavored beer, but it is a tasty beer that would appeal to more than just a niche crowd. I would caution you, however; do not be fooled by the fact that this beer is only 5.7% – it is absolutely a sipping beer. The flavors, while enjoyable, are very strong, not to mention this beer should not be enjoyed straight out of the chiller. The signature Sriracha flavor is absolutely present along with a deep malt flavours akin to that of your favorite stout. 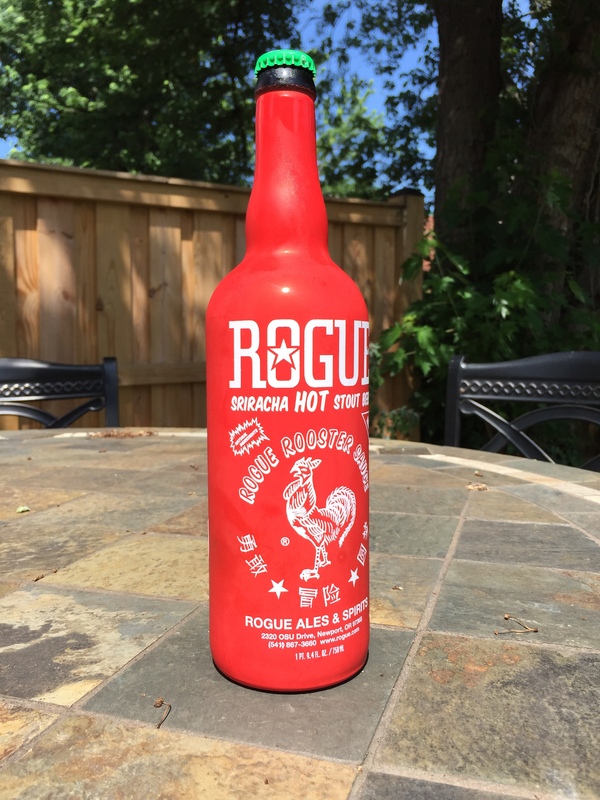 The same way that Sriracha pairs well with almost any food from hot dogs to Lo-Mein, the Sriracha Stout from Rogue feels like a perfect dinner companion. Though I have to say, the pairing that I enjoyed most during this review: Chocolate.